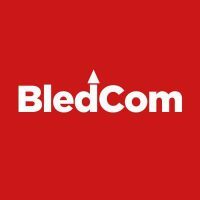 The 26th BledCom symposium, this year on the theme “Trust and Reputation” on July 4-6, will feature a keynote speech, 10 parallel paper sessions, 3 panels, an open session and more. The early bird registration is available until May 24, with a further special discount for EUPRERA members. BledCom is an annual gathering of scholars and practitioners in public relations and related disciplines to discuss contemporary communication and management problems. So far, eight books and seven special issues of peer-reviewed journals have been published based on previous symposia.